It really helps to know where you are in life! The USDA several years ago developed a horticultural zone map to let folks know where they fit in and what they can grow in their area of residence. The basic map lets you know how “cold hardy” a plant must be to be grown in your area. For instance, if you live in Richmond, VA, your hardiness zone is shown to be 7 on the map. That means that you can grow any plants rated for zones up to 7 with reasonable certainty of cold hardiness—usually they won’t freeze out on you. 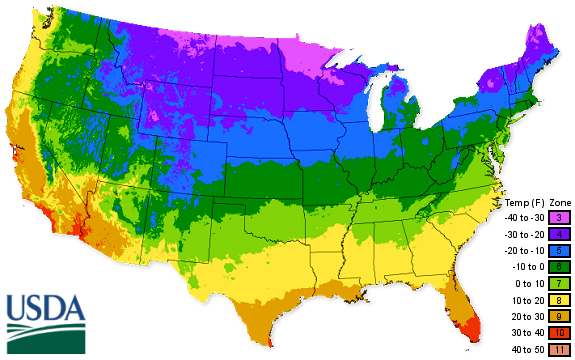 You can always run into a severe cold snap or climate combination that might kill your plants, but not usually. You can download high resolution PDF USDA Maps from the USDA Agricultural Resource Service. You can always try plants from zones 8 and 9, but normally these will not successfully over-winter in your area without significant accommodations—like a beneficial microenvironment (e.g., a warm south-facing brick wall to grow against) or wrappings of some sort on cold nights. 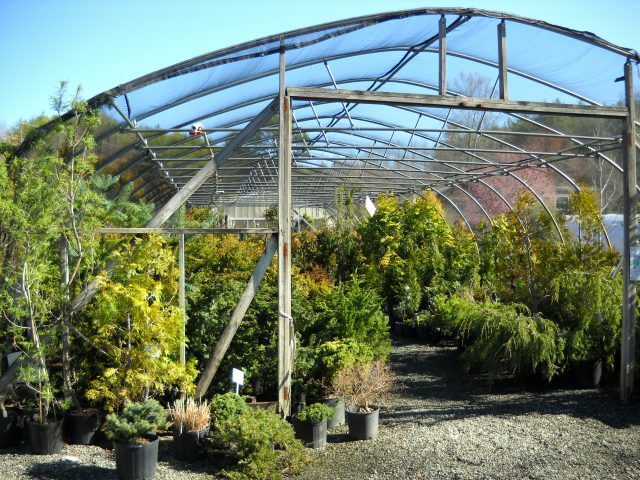 We prefer to keep such plants in portable containers that can be plunged into the garden in spring and brought back into a cold greenhouse in the winter. In short, you gamble with it all, but your risks are lower if you stick with plants of the proper zone rating. A Special Note For WNC Mountain Folk. We now know by experience that Asheville is properly a zone 6A to maybe 6B rating. Further north in the mountains – Madison County, Spruce Pine etc. could be zone 5. Folks in Grandfather Mountain, Newland area think they are even a colder zone – maybe 4B! Hendersonville probably rates as 6B. Highlands Cashiers is colder again. These variations are due to elevation, wind patterns, temperatures, and exposure to the elements.